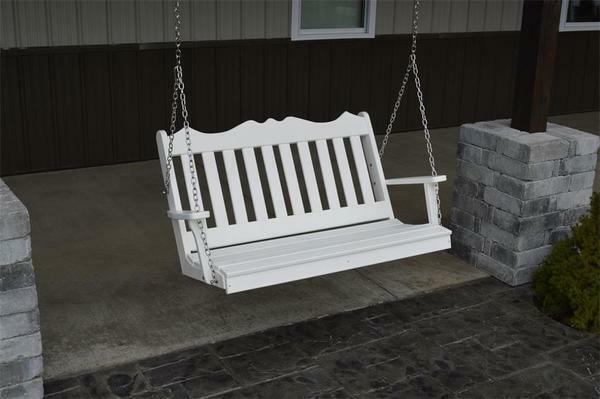 This American Made Furniture 4' Poly Royal English Swing makes for the perfect place to enjoy those long afternoons and relax into the evening. Crafted from durable and maintenance free poly lumber, you can rest assured that you are making an investment in outdoor furniture that will last generations. Available in twelve color choices and optional throw pillows, this porch swing can be tailored to fit your decor. Note: The chain length is 7' which will fit on a 9’ ceiling. Chain size can be increased upon request.